Gifts from the Pirates: "anybody know how to get cream filling out of suede?" "anybody know how to get cream filling out of suede?" 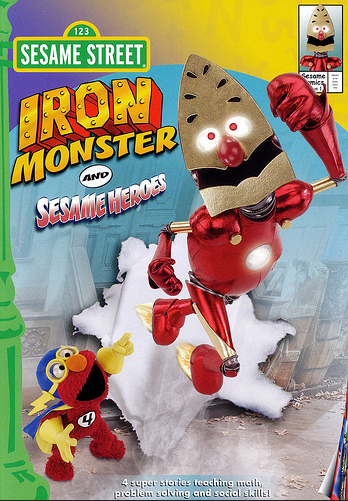 I was so excited last night about getting home from our friends house as they had very kindly brought us the Sesame Street DVD, Iron Monster and Sesame Heroes after reading my previous blog post about Sesame Street. I couldn't find it for sale anywhere and had given up looking. I couldn't even find it when we were in the states. Anyhow now thanks to some great friends (http://gingerjamphoto.com/ and wifey) Me, Opeie and Mrs M sat down and watched it last night and it was well worth the wait. Super Grover is probably my favorite character and being Iron Monster just added to that (as you know i love anything Marvel related), you certainly wouldnt want to mess with someone that "can iron out any trouble, straighten out any dilemma" and "can permanently press out any problem". He really is the hero of the laundromat. Seth really enjoyed the 'Furry Four' episode, i probably should have started Opeie off on this sort of thing rather than jumping straight in to Spider-Man. Opeie inevitably fell asleep on me half way through which i love because its usually Mrs M that he drops off on. After Mrs M put him down and the DVD was over we were still feeling in a Sesame Street mood so we decided to watch 'Being Elmo: A Puppeteer's Journey'. It was by far one of the best documentaries i have ever seen. Im still shocked now that Elmo's voice come out of that chap. What a nice guy Kevin Clash is. 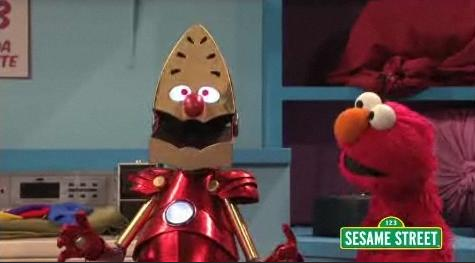 Ive never really been much of an Elmo fan but i think after watching that i may look at him a little differently. 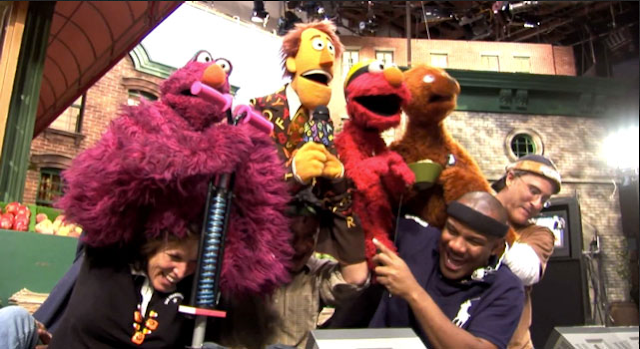 ( EDIT- It's Mrs M here, I am one of the biggest Elmo Fans EVER. I actually think on a daily basis how I would love a pet Elmo, because " Mrs M loves you" - Said in the style of Elmo.